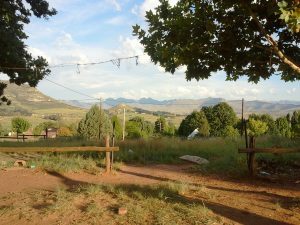 Clarens Is a Small Town With a View | Hujambo! I was in South Africa last week visiting Cassandra’s family. Because there’s only so much to do in Kimberley (yes, I’ve seen the Big Hole), we decided to take a road trip to see some new scenery. I had been looking at the map of South Africa and noticed that Lesotho, the small nation enclave surrounded entirely by South Africa, was fairly close. 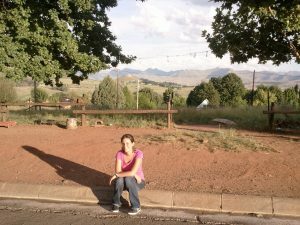 Cassandra’s dad suggested that we drive to Clarens to get a good view of the Maluti Mountains. 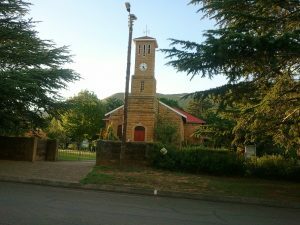 Clarens was a pleasant surprise. It kinda reminded me of little towns I’d been to in Northern California (especially Calistoga) — quaint, quiet, clean, and safe. 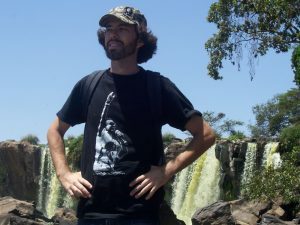 The town is situated around one or two main streets and a small square, with cute restaurants, pubs, antique shops, and bed and breakfasts dotted along the way. I heard very little Afrikaans being spoken (and not one printed sign that I can remember). I didn’t see any electric fences, high walls, or crushed glass around any homes. While I did see police officers, I didn’t see any private security guards. I’m used to seeing private security like G4S everywhere in East Africa! It was a really cute little town, totally worth a visit! 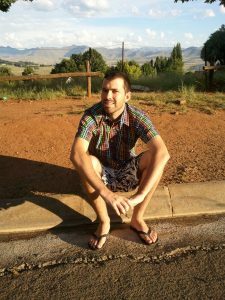 You look like you have a faux hawk in the photo of you in Clarens! Nice look. 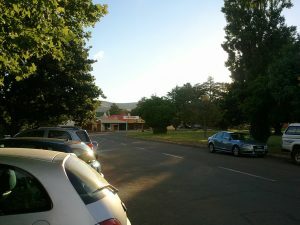 The name Clarens reminds me of the bar where Barney, Ted, Marshall and Lily hang out….nice place. Looks exquisite. you sure look different with short hair… Hope yo had a memorable time.